For example, Pamela Sugiman discusses how, after her research was published, she was criticised by an interviewee who felt that the groups being studied by Sugimen were not adequately represented in the research. These thoughtful essays, introduced by four different oral historians, are grouped in sections about listening, encounters, ethics and politics, and silences. However, interviews are ultimately personal interactions between human beings, and rarely conform to a methodological ideal. These are the stories we crave to share but fear are perhaps too personal for a professional setting, even though what we need most is the feedback of colleagues who understand the complexities of the oral history relationship. Nafiseh Sharifi is impressed with this collection and recommends it to students and practitioners of oral history. Can we like our interviewees? Instead, narrators responded with what might be called classical stories, starting with ancient narratives and eventually linking them with events from recent history. She shares how the changing political context in Palestine between 1989 and 1994 affected her position as a Jewish-American amongst the community and how it shaped her relationships with her interviewees. They show that the required skills of openness and patience can be gained only through practice and conscious critical evaluation of what we learn in theory. In the first chapter Martha Norkunas describes an interview she conducted with a woman dying of ovarian cancer. Most discussions of oral history method are rooted in abstract ideas about what interviewing should be and should achieve. 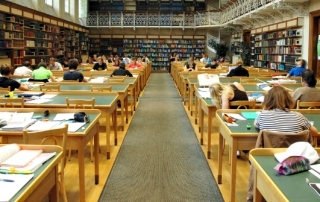 In the collection, the contributors reflect upon those elements of research using oral history that are not normally discussed, such as the conversations that were not recorded, the people who did not agree to be interviewed, and the relationships that were built up between interviewee and interviewer outside of the interview. These professional and personal fears have evolved through three distinct but overlapping phases: postwar positivism, the subjective turn, and contemporary interdisciplinarity. I found the essays wise and constructive in presenting the political, ethical and personal challenges that researchers face in interactions with subjects of their studies. The book can be of interest to both students and practitioners of oral history but also to those who are applying similar qualitative methods for collecting data in other disciplines. Anna Sheftel and Stacey Zembrzycki eds. I found the essays wise and constructive in presenting the political, ethical and personal challenges that researchers face in interactions with subjects of their studies. Negotiating Off-the-Record Events and Identity in Oral History; Alexander Freund 13. They show that the required skills of openness and patience can be gained only through practice and conscious critical evaluation of what we learn in theory. This sheds light on how oral history has evolved and expanded as a field, and what we hope it can and will achieve. Alan Wong explores the different challenges of being an outsider or insider to the community which one is interviewing amongst. In addition to filling this gap in the literature, the editors believe that sharing interview experiences is a helpful way of learning how to do oral history, and how to do it well. The struggles and negotiations interviewers face while conducting interviews - ethical, political, personal - either go. They show that the required skills of openness and patience can be gained only through practice and conscious critical evaluation of what we learn in theory. Abstract: Because oral history interviews are personal interactions between human beings, they rarely conform to a methodological ideal. In conclusion, the essays in this collection reflect on those sensitive, uncomfortable and sometimes daunting moments in interviews that are usually left unmentioned. Toward an Ethics of Silence? Fifty Years of Debates and Anxiety about Ethics The Oral History Review Oxford Academic Anna Sheftel is an assistant professor of conflict studies at Saint Paul University in Ottawa, Canada. Series Title: Responsibility: edited by Anna Sheftel and Stacey Zembrzycki ; foreword by Steven High ; afterword by Alessandro Portelli. Tracing their evolution reveals how we build trust, establish limits, ask questions, and, ultimately, listen Zembrzycki, 131. Third Parties in 'Third Spaces': Reflecting on the Role of the Translator in Oral History Interviews with Iraqi Diasporic Women; Nadia Jones-Gailani 10. This groundbreaking collection shows that a full account of oral history methodology must include honest and rigorous analyses of actual practice, allowing us to embrace the uncertainties and remarkable opportunities that define a human-centered methodology. They show that the required skills of openness and patience can be gained only through practice and conscious critical evaluation of what we learn in theory. She has also interviewed Holocaust survivors who speak publicly in education settings, to understand how they take such personal experiences and transform them into educational tools. Oral History off the Record: Toward an Ethnography of Practice. Nonetheless, oral history's complex, capricious nature is rarely addressed by its practitioners when they share their work with the world. 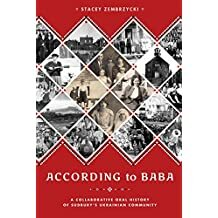 E-mail: Stacey Zembrzycki is an affiliate assistant professor in the Department of History at Concordia University and a teacher at Dawson College in Montreal, Canada. She concludes that while the more recent focus on subjectivity has positively affected oral history theory and practice, the earlier political goals are still crucial. Angela Davis, University of Warwick. Nafiseh Sharifi is impressed with this collection and recommends it to students and practitioners of oral history. Third Parties in 'Third Spaces': Reflecting on the Role of the Translator in Oral History Interviews with Iraqi Diasporic Women; Nadia Jones-Gailani 10. These conversations are rarely written up in journal articles or shared online, but cover the most challenging ethical, political, and personal aspects of interviewing. Nancy Janovicek, using the example of her research on the back-to-the-land movement in Canada, notes that there is an assumption in recent historical work that people who were young in the 1960s shape their narratives according to the popularized tropes of the period.